I’ll confess up front! I’m not really a coffee type of person. It’s not that I hate it, but it’s exactly the opposite. Just one cup of coffee and I can stay up for the whole day or two. I used to drink a lot of NESCAFÉ coffee to keep myself awake when I was practicing law and had to work day and night surviving on 2-3 hours of sleep daily during that important period to complete the deal. I’m the total opposite of my husband, who really loves his coffee and always drinks them a few times a day. He’s got to have his coffee or else he’s quite grumpy in the morning, afternoon, evening night.. or until he gets his coffee. But he sure can drink lots and lots of cups a day. But recently, something surprised me. Even though he knew I’m not much a coffee person and the effect it has on me, he asked me to try the new NESCAFÉ Blend & Brew. He insisted that I give it a try. And I loved it! This NESCAFÉ Blend & Brew is quite different from the normal NESCAFÉ 3-in-1 that I’ve had before or even other coffees. The coffee is so rich and creamy, with the taste of freshly brewed coffee with milk. They’ve improved their formula and I’ve read here that they are using ingredients such as high quality New Zealand milk and freshly brewed coffee, which is infused by ‘One Step Technology’. The sugar content has also been reduced so that the health conscious can drink it without worrying too much. 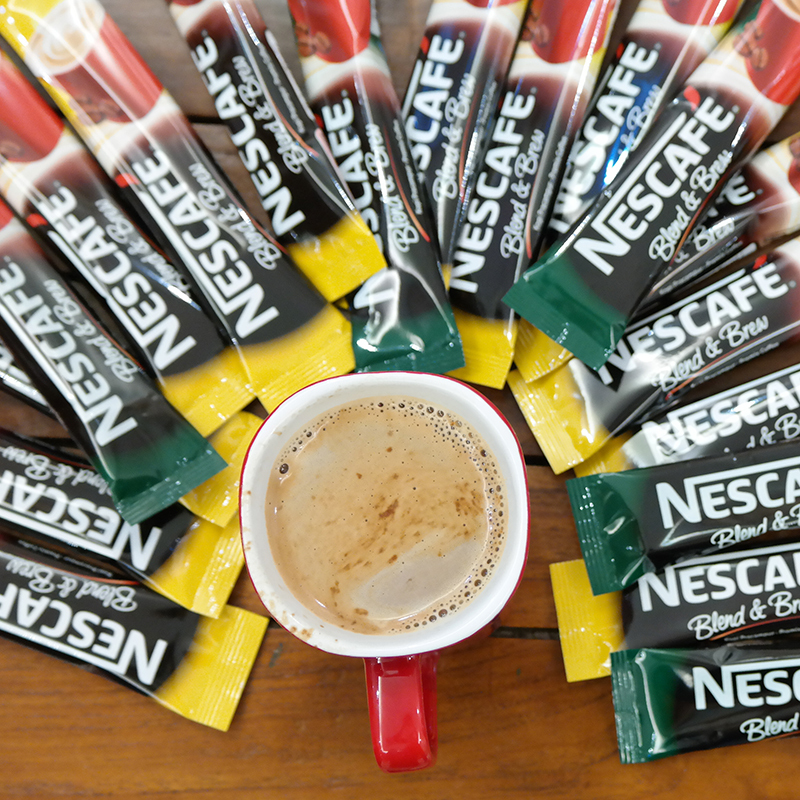 The NESCAFÉ Blend & Brew has three different flavors: Original, Mild and Rich. It’s the NESCAFÉ Blend & Brew Mild for me, but my husband loves the Rich flavor. It’s a great energizer for me, since I’ve been quite busy these past few weeks. I’ve had to juggle so much: working on the recently concluded fashion show, finalizing the new collection and upcoming collections, squeezing media interviews and at the same time working on a top secret project (EXCITED! ), there are only so many hours in a day. 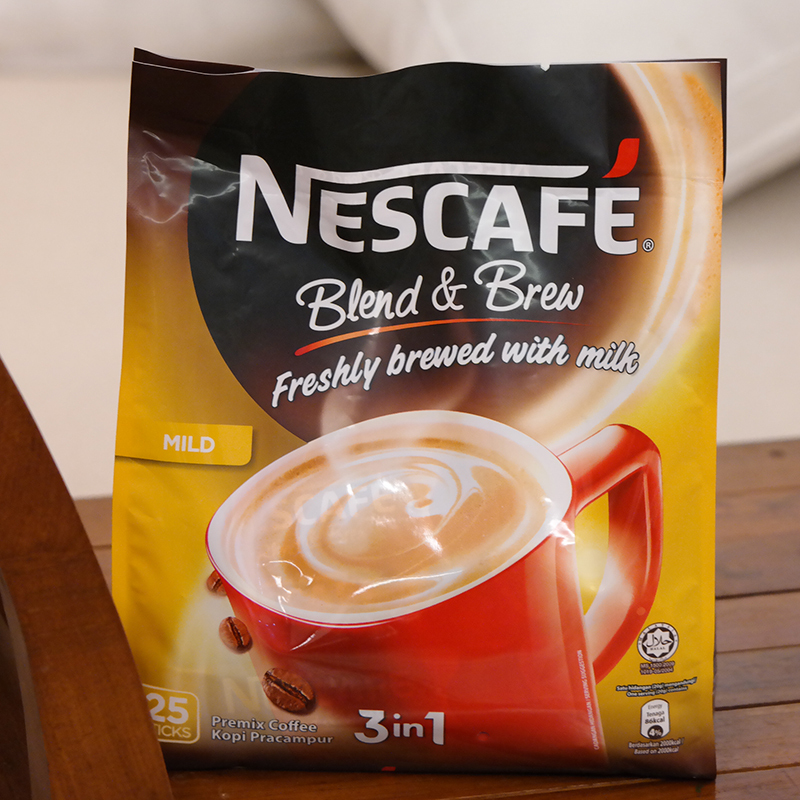 I’ve had just a few hours sleep each day, so I’ve really needed this new NESCAFÉ Blend & Brew! I might just get used to coffee! 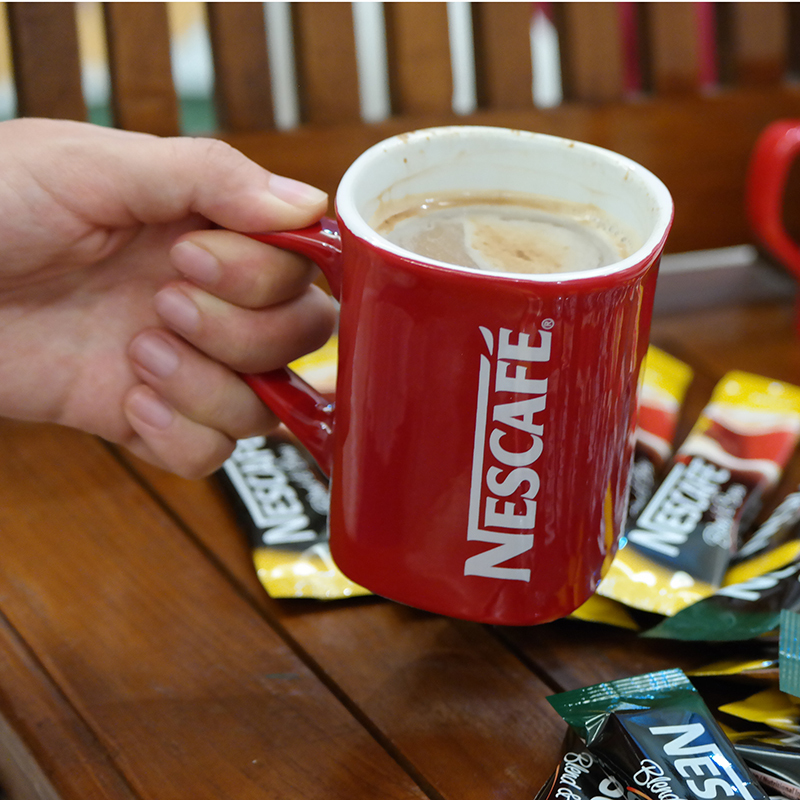 If you’re a fan of NESCAFÉ, you might want to check out their Facebook, Twitter and Youtube for some exciting news and updates! The surface really looks creamy and oh-so-delicious. I really don't get the caffeine kick people insist first thing in the morning. I saw an experiment of people stop taking caffeine gradually, and they've experienced more energy, compared to having their regular dose of coffee. I only drink coffee for pleasure. which is like, once a week or something. But my family loves coffee. will get them to try this. i used to drink coffee everyday until i stop to drink it for a while...now, i can't drink coffee much...if i take a cup of coffee, it will make me feel dizzy..but i do take once a while, just to fill my cravingness..
no offense but nescafe cant really be consider coffee. If you really want to drink coffee go to coffee shop/ cafe (starbucks, coffee bean, san francisco, etc...) and ask for coffee or what ever related to coffee on their menu. For as long it is made from fresh beans. Now thats the real coffee. Otherwise you can always get in the super market the original beans it self or grinded. From the photo I see that you are drinking the 3 in 1 coffee which IMO it contains alot of sugar...oh and yea...if you are really a coffee drinker, you drink it without sugar to get the original taste. Plus in coffee it already contains insulin. You dont really need that extra sugar. may i know what types of camera model u used for taking all the beautiful pictures of yours ?